Sell rare U.S. and foreign coins, gold or silver jewelry, diamonds, platinum, and vintage paper money in Columbus, Ohio! We buy U.S. and foreign coins, gold, silver, diamonds and rare vintage currency, and we’ll beat every price in town! Since opening our doors in 2008, we've set high standards on integrity and great customer service. Want to buy coins or jewelry? We have a large inventory of items available now at our store. 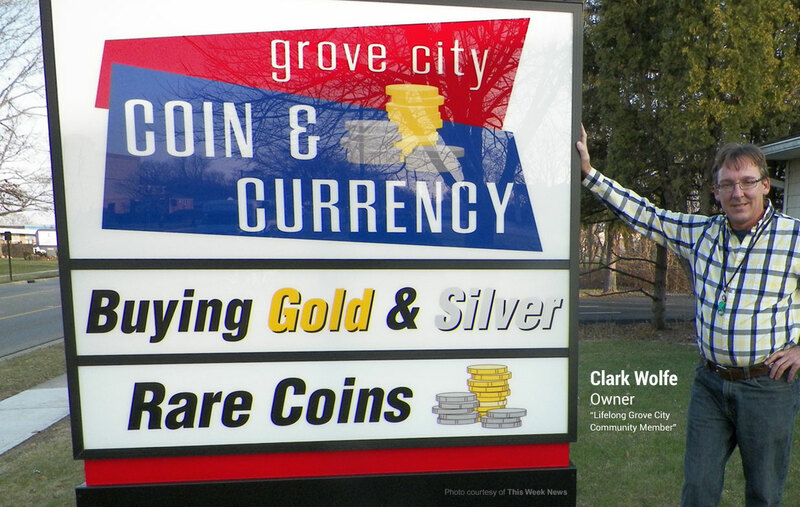 "Grove City coin has the inventory and the fairest prices I have found anywhere in the county." "A very friendly and honest shop. I shop all over the Midwest for coins and Grove City Coin is a 'Great Find'"
"I stopped in over three years ago to buy some coins to set back for the future. Clark and Frank have always been honest, friendly and informative as I have put together sets and worked on my collection. I have been to other coin shops but have always been disappointed with prices, inventory and customer service. G.C.C.C. 86 the best shop in central Ohio." "Just starting out I really didn't know what I was doing. I trusted Clark and Frank to begin with and they have taken excellent care of me! They are very willing and eager to educate and teach. That's why I have introduced several of my friends to them, so they can be taken care of too! Thank you Clark and Frank!" "Great knowledgeable couple of guys. Best prices in the county and I find it a pleasure to shop here. Always honest with me on prices for buying/selling." "The very best in the city. Honest and fair prices, great conversations make you feel like more than a customer." "Purchase all of my coins@ Grove City Coins and Currency. Honest and fair prices, top dollar when I sell." "Great people, fair trustworthy, best deals in town. My 1 stop shop for coins and collectables." If you want to sell your gold, silver or platinum jewelry, diamond wedding or engagement ring, coin collection or vintage paper currency, contact us today. Grove City Coin & Currency is Columbus, Ohio’s premier buyer of gold, silver, diamonds, jewelry, coins and currency.